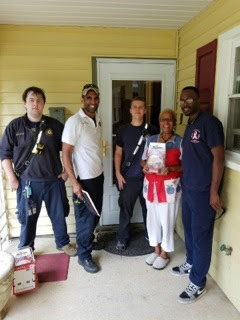 Members of the Prince George’s County Fire/Emergency Medical Services (EMS) Department went door-to-door in the Laurel community of Montpelier this morning as part of the award winning Adopt-A-Neighborhood (AAN) program. Firefighters, Medics and EMTs from the Laurel Rescue Squad, Laurel Fire Department and the Beltsville Fire Department, volunteer and career, as well as members of the Fire and EMS Foundation knocked on doors and asked to check on the home smoke alarms. 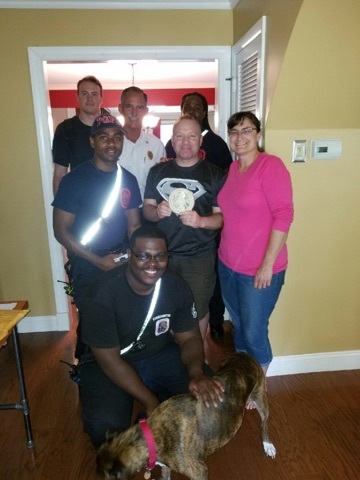 If a home was found with no alarm, an alarm 10 years old or older or an alarm that no longer worked than a new 10-year working smoke alarm was installed at no cost. If the home has natural gas service, a fireplace or an attached garage than a 10-year working carbon monoxide alarm was installed as well. 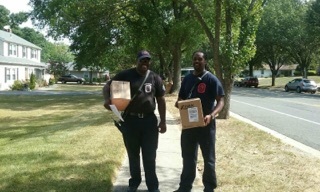 Fire prevention information is also distributed throughout the neighborhood. 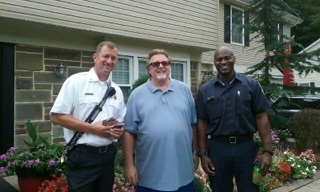 Firefighters visited just over 100 homes this morning. 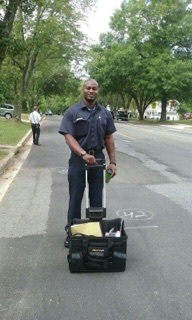 Thirteen new alarms were installed with 15 existing alarms tested and were found to be working. Many resident were not home and some refused to let firefighters check their alarms. 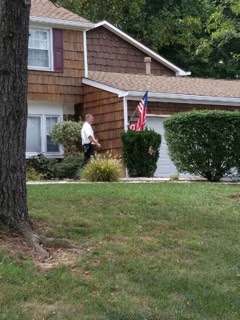 The 51 homes where residents were not home will be scheduled to be be revisited. Old Line Bank, one of the AAN original members, sponsored todays program. 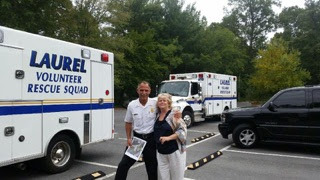 This private-public partnership allows members of the business community, Houses of Worship and private citizens to donate funds for the purchase of these life-saving devices. 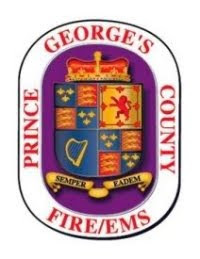 The donation is made to the Prince Georges Fire and EMS Foundation, a 501c3 organization, which will purchase the alarms to be installed in neighborhoods around the County. The AAN program recently received a NACO Award and a Firehouse Magazine Community Service Award. 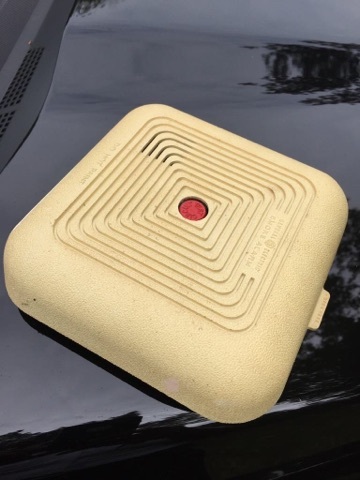 The AAN program alarm installation is managed through a GIS system developed through the County Office of Information Technology. 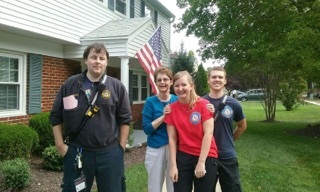 The smart phone application documents homes where alarms were installed and homes that need to be revisited by firefighters at a future date. 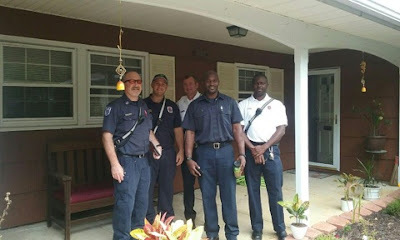 Firefighters, their supervisors and department command staff can log into the application and check on the progress of the program at any given time. 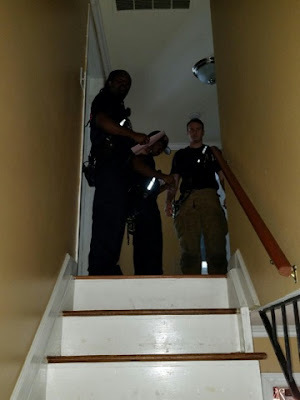 One difference in the AAN program and the Fire/EMS Department Post Incident Neighborhood Intervention Program (PINIP) is that the AAN allows for the installation of carbon monoxide alarms. 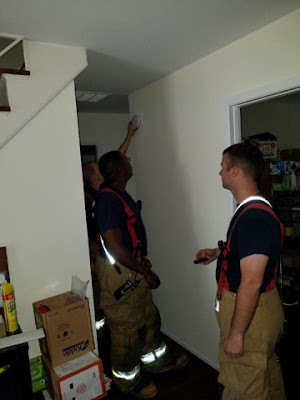 The Departments PINIP only installs smoke alarms. If any County resident is in need of a working smoke alarm and can not afford to purchase one themselves they can call 311. 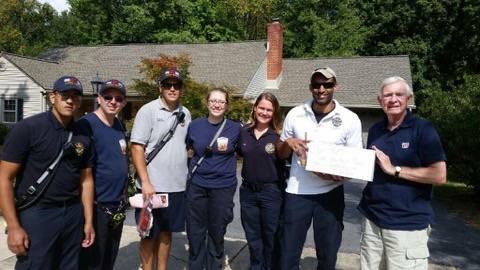 A firefighter will install a new smoke alarm at no cost. 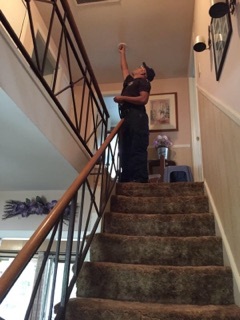 In Prince George’s County all homes are mandated to have a working 10-yearsmoke alarm on every level of their home. 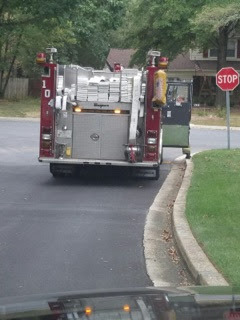 The same is true of carbon monoxide alarms if you have a natural gas service, a fireplace or an attached garage. Of primary importance is to install an alarm just outside of sleeping areas. 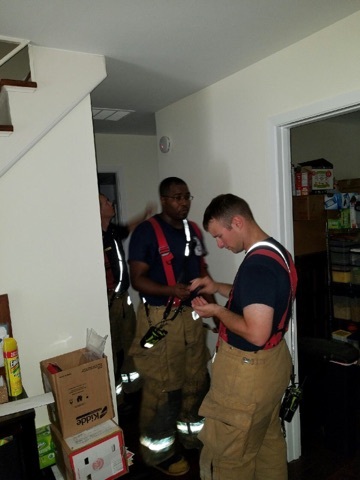 The Fire/EMS Department recommends that you sleep with your door closed and have a working smoke alarm installed in every bedroom.